Welcome to the Suttyo's official website! On this page you can find all the Suttyo comics! About the past, the present and the future. Suttyo and Friends was there on the 40. Comic book market. We feel good. We met my old and new friends. The Suttyo poster in Star Wars Vintage-style was enough popular. A said few secrets of new Suttyo comic book for my fans. 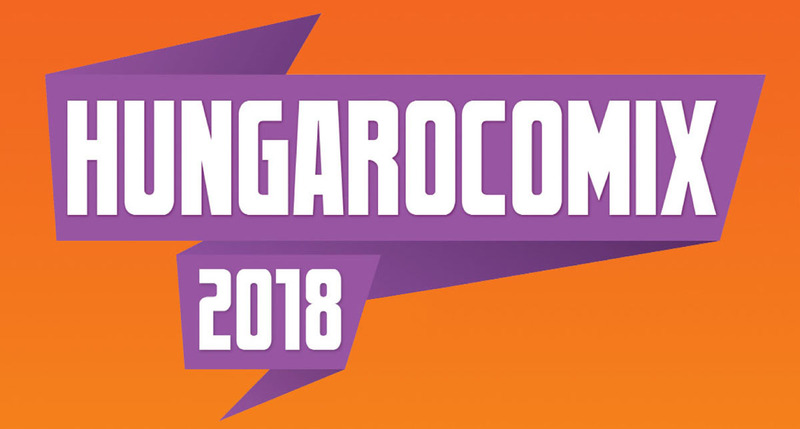 Suttyo will there on the second most important Hungarion comis book event! Click for the details! This will be in the Lurdy-House on December 2.! 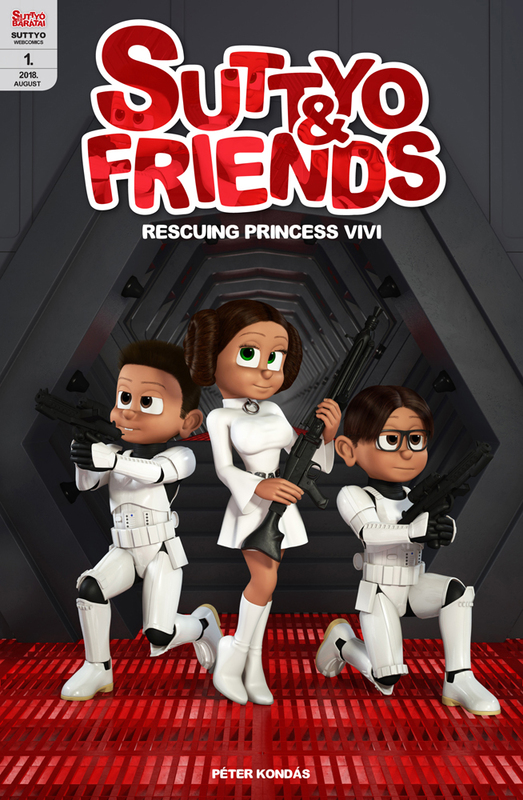 The Suttyo Star Wars parody is available! I did not make the whole movie at this time. I made only the "escaping princess" scene from the New Hope. You can see the 24 pages version here! There is a 40 pages version, too. You can get it only for 1$. See details here! Online table for Suttyo 3. 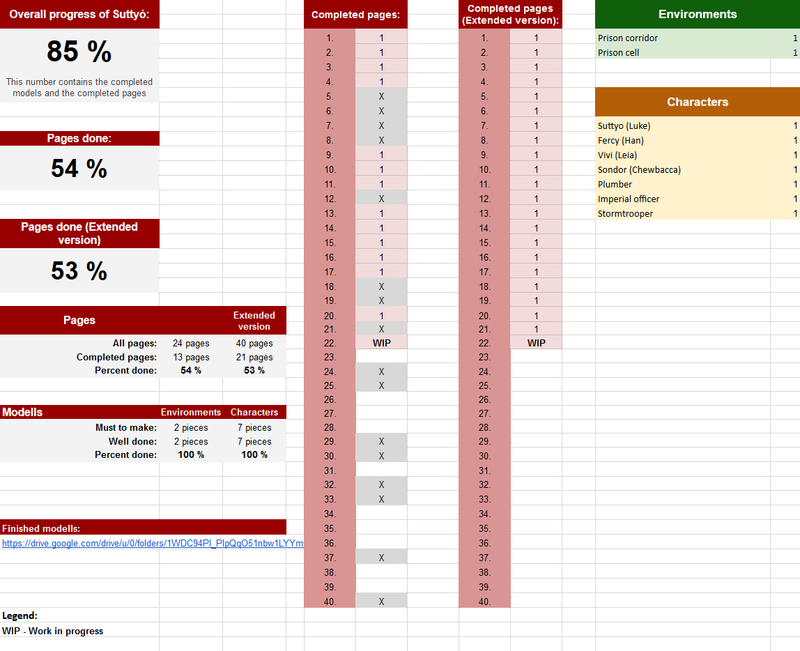 This table contains a link where you can see pictures of the models of the story. This story was originally designed for 12 to 16 pages, but in the meantime it has grown to 40 pages. Two stories will be available: a 24 page free and a 40 page high-resolution PDF, which will be downloadable for 1$. A Suttyo Star Wars parody is coming! A second Suttyo story is under construction, but before I release it I will make a Star Wars parody. This will be a scene from the "A New Hope". It will be released in digital format on early August, and most importantly: You can download this free from this site! You can order the physical copy of Suttyo comic books now! A fulfilment company will send the Suttyo comic books to my supporters to the world in the next weeks! But there is an opportunity for everybody to get a copy! This pack contains two english Suttyo comic book and a small booklet. This small booklet is in Hungarian language, but these three are the full collection now! I would like to translate later this. How to get you these books? Please send 35$ to my Paypal. Write your physical address and I will send you these comics! This is a One-time occasion! Please make it until june 7th! The Suttyo comic books are for 17+ years old! I don't save and don't sharing your addres, I will delete it soon. 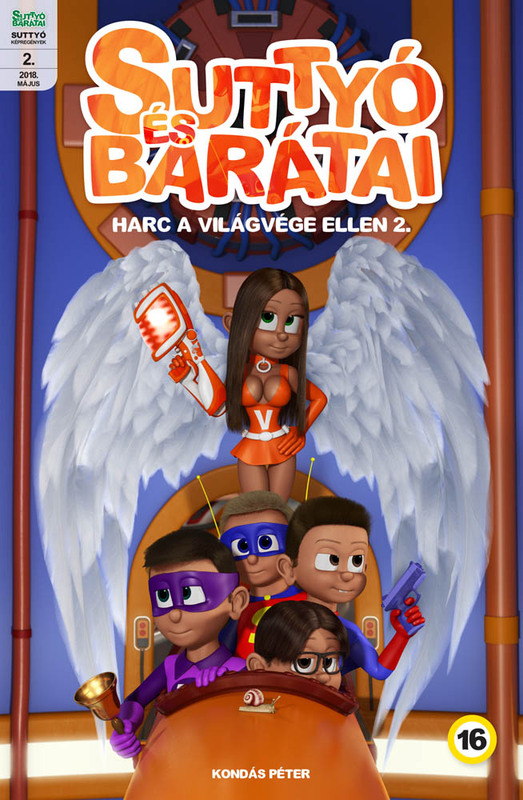 The second book's cover is revealed! SSL encryption is active now on Suttyo's website! Although I did not request personal information from visitors, I though that important to activate the SSL encryption on Suttyó's website. The first book's cover is revealed! The final website is completed! The official website of Suttyo has been completed! Now you can finally know about Suttyo's birth and you can even see few pages of the original comics. You can support the creation of Suttyo comic book with PayPal! You can choose from 4k wallpapers on the Wallpapers page for your support. Suttyo's Facebook site site started! 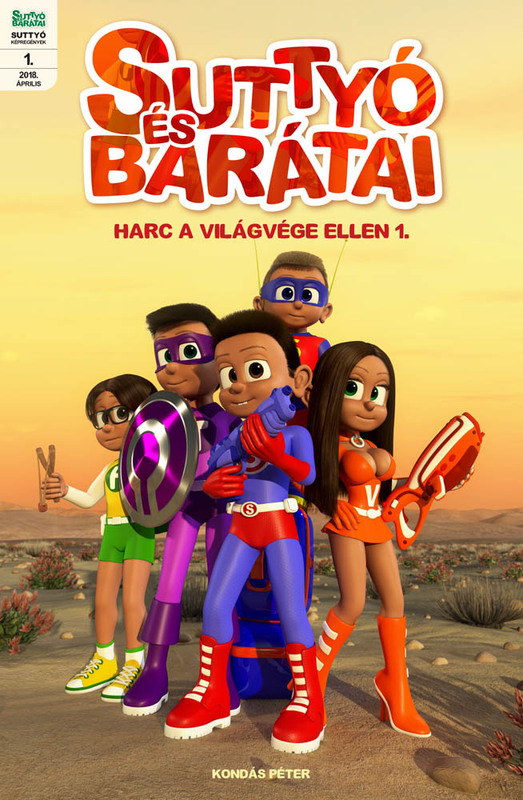 This also started in English and in Hungarian! 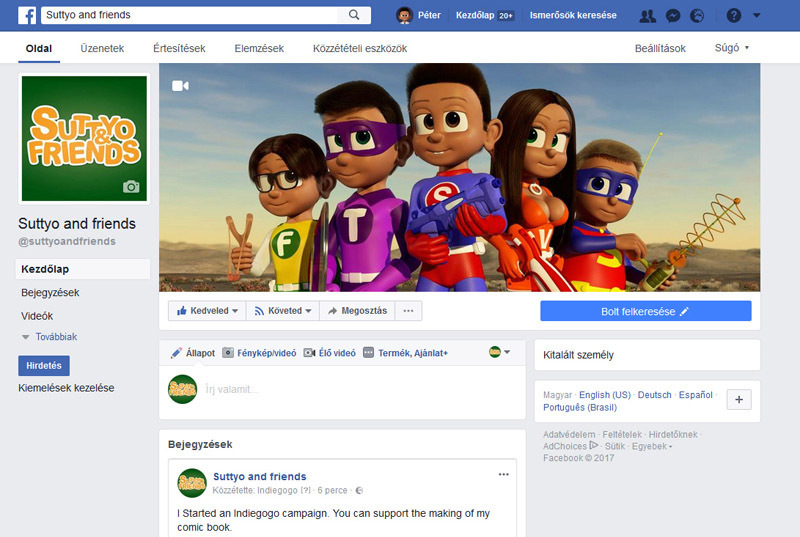 This is the English site: facebook.com/suttyoandfriends. 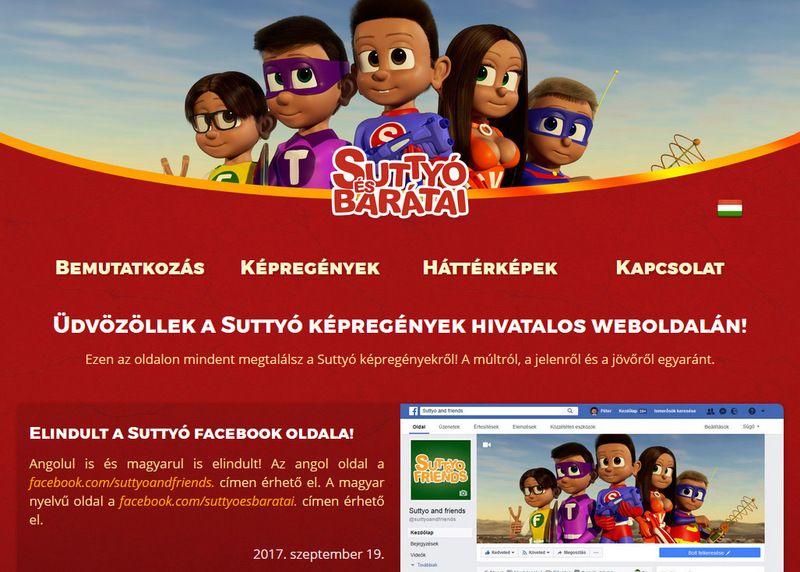 This is the Hungarian site: facebook.com/suttyoesbaratai. Suttyo's official web site started!